Concealers are the foundation to any makeup routine (no pun intended). They cover all your bumps, blemishes, discoloration, age spots and large pores to leave your skin looking flawless. Maybe a little less obvious is the fact that without a proper concealer, your other makeup won’t stick. For example, most eyeshadow is formulated to go on top of buildable concealers, rather than directly on the skin where it can run and will definitely fade as the day or night wears on. 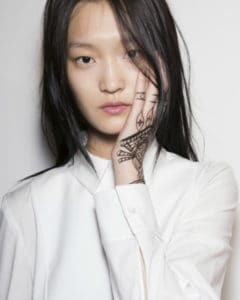 Considering the surface area that your concealers cover and the number of pores on that large surface area, you should know what’s going into their formulas – because all of that is going to be soaked up by your face. The highly pigmented and viscous nature of concealer means they are prone to using chemical color additives as well as ingredients to help them keep their texture and last longer. Many, if not most, of those chemicals, aren’t good for your skin, your body as a whole or your health in general. 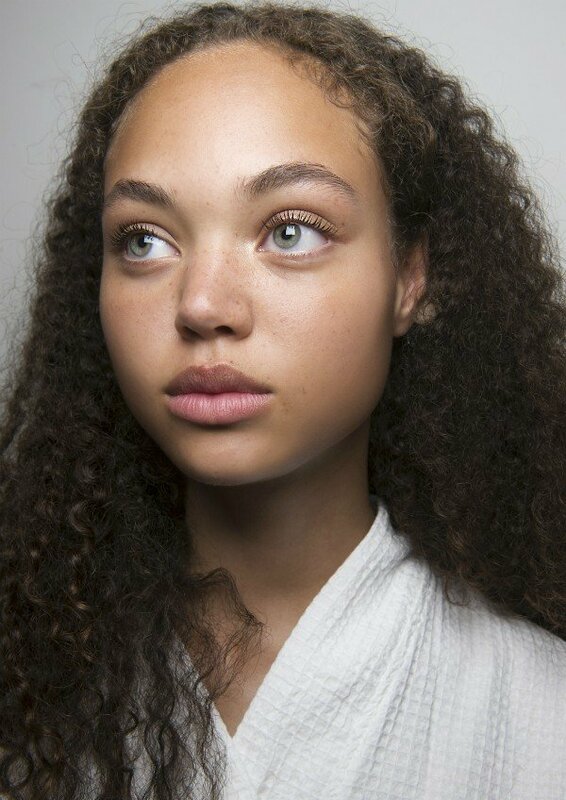 We’ve put together a list of the best natural organic concealers on the market that do their best to avoid those toxic ingredients. 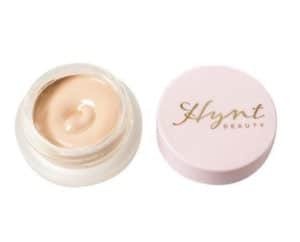 Hynt Beauty’s extremely popular Duet Perfecting Concealer maybe lightweight but combats both color correction and provides full coverage for concerns like acne marks, discoloration and dark circles under the eyes. Formulated with nourishing Avocado Oil and soothing Aloe Vera extract the dual purpose miracle comes in a range of 6 skin tones. Made specifically for use as an under-eye concealer that will cover dark circles as well as any age spots or hyperpigmentation, this all-natural concealer comes in 4 shades and is suitable for fair to medium dark skin tone and everything in between. This is a high performing concealer that not only hides imperfections but is also formulated with anti-aging ingredients like peptides that will plump and revitalize your skin. Looking for something a little more lightweight consider Hush + Dotti’s Organic Concealer that comes in 8 different shades for a variety of skin tones . Through a combination of plant-based oils like rich coconut oil and jojoba oil with antioxidants like Vitamin E the formula provides deep moisture for the skin. Other key benefits include the concealer being sans gluten, vegan as well as free of known skin irritants like parabens and sulfates. Available in seven different tones, this popular concealer is ideal for use under the eyes but can also be used as a spot treatment on acne scars, age spots and blemishes thanks to its ability to cover up all kinds of complexion imperfections. 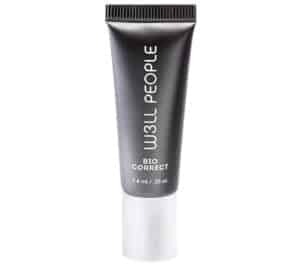 Formulated with jojoba and coconut oils, it goes on light and never feels dry or heavy but it is 100% buildable for those days where you got a little less sleep and a little extra makeup is needed. 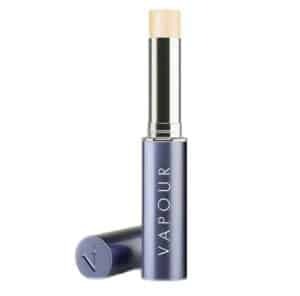 For some extra anti-aging benefits, the vitamin E in this concealer will minimize pores and protect your skin. If you’re looking for an organic concealer that goes the extra mile in terms of its skin-beneficial properties then look no further than FitGlow’s plant-based Conceal Plus. Key ingredients in this cruelty-free formula include replenishing Grape Seed oil and antioxidants like Green Tea and Licorice Root Extract. 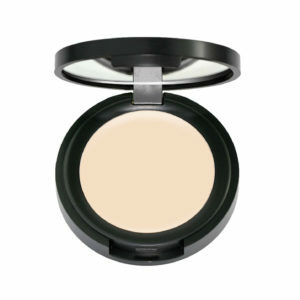 The rich texture blends easily to provide stronger coverage as needed. 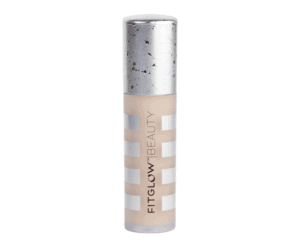 If hyperpigmentation is your biggest concern, this concealer is designed with age spots and other discoloring free radical damage at top of mind. Using a powerful and complex blend of licorice extract, arbutin and vitamin C, Jane Iredale has created a concealer that works to lighten any hyperpigmentation in your complexion and fade discoloration, whether they be in the form of age spots or acne scars. For an even more radiant complexion, antioxidants like green tea protect your skin from any further free radical damage while moringa oil ensures your skin is nourished and hydrated. 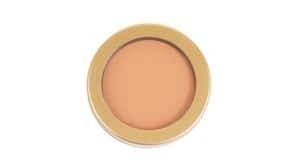 If you’re looking to target under eyes circles consider Jane Iredale’s Circle Delete ($32) that not only conceals but also conditions. Acne and acne scars can be difficult to cover up but this highly pigmented, oil-free formula does exactly that (and all without oil or other ingredients that will just make your breakouts worse). With two expertly picked, made-to-match shades in one compact (that comes in 3 color tones), you can blend away to cover blemishes, scars, whiteheads as well as those dark circles that we all occasionally suffer from. This gentle formula is made for sensitive skin that’s prone to blemishes and breakouts, but it’s also gentle on our furry friends because it’s absolutely cruelty-free. Our animal-conscious friends love all things 100% Pure Fruit because they are not only certified cruelty-free but also totally cool for vegans! This creamy blend of fruit pigments conceal without completely covering so it’s great for use on minor imperfections and seamlessly mingling with your skin tone, but it’s also buildable for the times when you need more coverage. Available in four tones ranging from fair to medium, it’s also formulated with nourishing items like rosehip oil and protective antioxidants such as green tea and green coffee. While going natural and organic can sometimes cost a bit more than your everyday product, this price friendly all-natural alternative won’t break the bank. 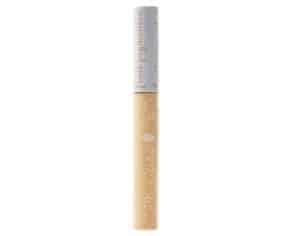 Chemical- and fragrance-free, this concealer is made with flower wax and organic oils such as calendula, chamomile and jojoba that nourish and hydrate your skin while providing a flawless and non-greasy finish. Easy to apply and compact enough to fit in the smallest of makeup pouches, you get all the benefits of any all-natural concealer at a portion of the price. 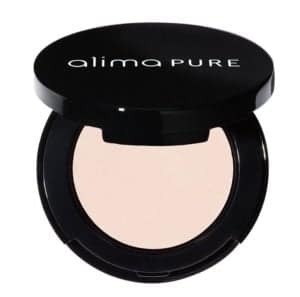 Not only does Alima Pure’s fragrance-free concealer provide seamless full coverage for a variety of skin concerns (redness, hyperpigmentation, dark circles and more) but it also comes in 9 shades (light to dark and everything in-between). The easy-to-apply buttery formula combines skin-beneficial ingredients like avocado oil, shea butter and Vitamin E in order to protect as it camouflages. 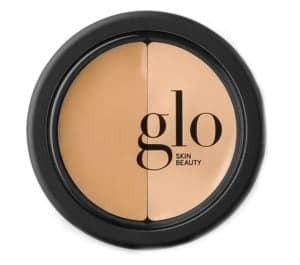 This buildable, crease-free concealer is highly pigmented and provides medium to full coverage of imperfections like dark circles, discoloration and age spots – all without settling into fine lines. In fact, while covering imperfections that already exist, this concealer uses both natural and organic anti-aging ingredients like vitamins C and E to protect and stave away any further damage to your skin. 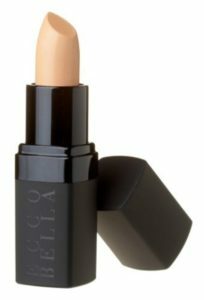 Coming in five shades, the creamy concealer can be applied directly to skin and, if warmed, it works even better. Eight shades to cover a multitude of skin tones in this 100% organic concealer that’s incredibly well-priced for what it offers. The light and breathable formula won’t suffocate your skin but will still provide medium coverage of discoloration and other imperfections. Formulated with the antioxidant power of vitamin E to protect your skin, the hydrating and moisturizing properties of sunflower oil and castor oil ensure you won’t see flaking or cracking throughout the day. 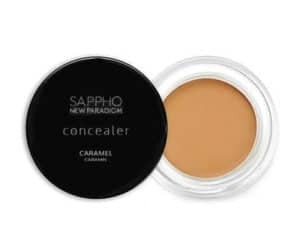 Last but definitely not least is luxury organic skin care brand Sapho New Paradigm’s highly pigmented concealer that comes in five shades (fair to dark). Key ingredient highlights of this cruelty-free formula include plant extracts like soothing Chamomile extract and brightening Licorice Extract as well as nourishing plant oils (Argan & Coconut). Check out our in-depth guide to explore the best organic face makeup inclusive of blush, foundations and more. WHY GO ORGANIC AND NATURAL WITH YOUR CONCEALER? Ever-present on our lists of bad ingredients, the toxic nature of parabens is no secret in the cosmetic industry and yet they continue to be used to extend the shelf life of our everyday makeup items. Parabens can cause skin irritations, contact dermatitis as well as rosacea in individuals that have paraben allergies. More concerning is their effect on hormones: parabens mimic estrogen, which is associated with an increased risk of breast cancer. Equally as harmful and as common as parabens, phthalates are used in hundreds of cosmetic products to increase the softness and flexibility of cream-based products. Many concealers are found in rich, creamy textures, so they tend to be one of the more dangerous when it comes to containing phthalates. These endocrine disrupting chemicals have been linked to breast cancer as well as early breast development in girls (meaning they affect our natural hormones). There is also evidence to suggest that phthalates can cause reproductive birth defects in both males and females. You likely won’t find these listed on an ingredient list as they are often hidden under the blanket term ‘fragrance’. All three of these ingredients are petrochemical pollutants that are derived from crude oil – bad for your body and bad for the world you live in. These chemicals can fall under the term “natural” because they are technically derived from natural sources – though that doesn’t make them safe. Used to create a barrier against the skin to make it feel slick and easy to build on, they don’t allow the skin to breath (an essential element of your skin functioning property). In the long term, use of these ingredients can decrease the skin’s ability to function properly in terms of cell development and regeneration. It can lead to premature aging of the skin as well as conditions such as contact dermatitis. These ingredients as well as anything ending in -siloxane are endocrine disruptors that have toxic effects on your reproductive and immune systems. There is evidence that they bio-accumulate in aquatic organisms too. What does that mean for you? By using these ingredients we are harming not only the ocean but potentially causing serious long-term health effects as our bodies build up and store these compounds with no way to rid of them. Another group of petroleum-derived ingredients, these compounds are used for thickening, softening and gelatinizing cosmetics like concealer so that they glide on smooth and even. PEG compounds themselves are harmful to the environment because of the way they are extracted and they are often contaminated with ethylene oxide and 1,4-dioxane. The former is a carcinogenic chemical that can also harm the nervous system as well as human development while the latter is equally carcinogenic and not biodegradable. Banned in Europe due to its endocrine-disrupting properties, BHA is also listed as a possible carcinogen in the United States (but has not, as of yet, been banned). It’s typically used as a preservative and may also be bio-accumulative, so we can’t be sure of their effects over long-term use. As the base of your whole makeup routine and something most of us use on the daily, concealer should be one of your top priorities when making the switch from conventional to natural and organic. Natural and organic concealers offer all of the coverage you get from any other big brand product but with healthy and safe ingredients. What’s more, they are often formulated with additional skin-beneficial ingredients so they work double duty on the visible signs of aging, hydration as well as restoring complexion and radiance. Why You Should Consider Donkey Milk Soap?